This is a unique exam revision assist. 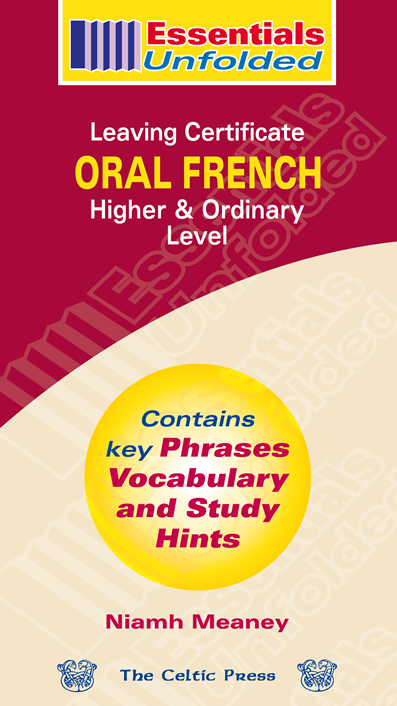 It presents key phrases, vocabulary and study hints in a concise and accessible way that will prove to be particularly useful for the examination in Leaving Certificate, Higher and Ordinary Level Oral French. It covers such topics as Myself and my Friends, The Family, My Home, At School and my Daily Routine, Hobbies, My Weekend, Talking in the Past Tense, Talking in the Future Tense, Current Affairs. 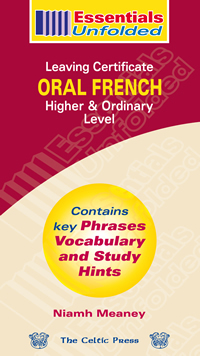 It also contains invaluable advice to students for the day of their examination.